Staff is friendly and helpful.Best place to get a car.I will recommended to everybody.You'll find what you looking for,very nice cars in the lot. 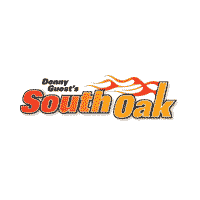 I had a great experience with purchasing my first owned car from south oak dodge . Mr.John Buchanan was very helpful and also listened to what I like and wanted. Thanks again ! Had some issues with Dawn's jeep and they did a fine job addressing all of them. Happy wife, happy life. Thanks, I usually don't like to bring my vehicles to dealerships, but in this case, I'm glad I did. Service was great. It took half of a day but it was an extensive break repair. Tom was quick to inform me of the problem and the estimate. Very satisfied. Come here all the time cause they work hard with you to get you in a vehicle. All the employees are great to work with. Everything went well except checking in for my appointment took way to long do to the fact that they computer system they use for check in kept going down and was super slow when up. Faris was great... he really helped me in weighing my pros & cons. He didn’t pressure me into anything, and that made a good experience. Had appointment. Told would take 2 hours. Took 5 hours. Why have an appointment? Hate, hate salesmen attack you as you walk into the dealership when you are here for service.